The CIAA football championship game criteria has shifted slightly due to games lost to weather. The CIAA Championship Game is still a few weeks away, and nobody’s spot is set. But with teams playing as many as 10 games (Bowie State) and others playing just eight (Fayetteville State and Elizabeth City State), including the loss of conference games, tweaks how to division championships are won. Due to extenuating circumstances inflicted by Hurricane Florence and the re-scheduling challenges presented to several teams as a result of the storm, the Central Intercollegiate Athletic Association (CIAA) has updated its championship criteria for the 2018 season. 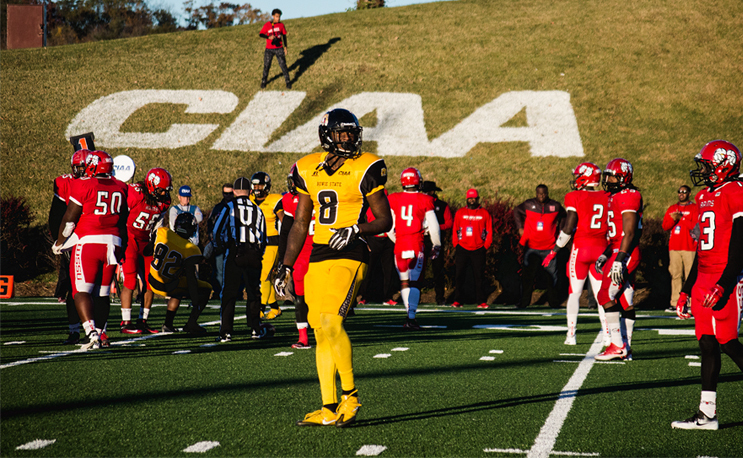 Instead of determining Divisional Champions based on a 7-game regular season composite schedule, a 6-game criteria will be used to determine this year’s Division Champions who will then advance to participate in the 2018 CIAA Football Championship on November 10. The updated criteria for this year only will include one cross-division game and teams’ full divisional schedule, for games between September 29 – November 3. A reminder that the CIAA Football Division Champions are determined by conference winning percentage. A six (6) game conference schedule is required for championship consideration; which includes five (5) divisional games. The conference champion will be determined in a one-game playoff between the Northern and Southern Division winners. The Northern and Southern Division winners will be determined by the highest winning percentage of conference games won based on the six game conference schedule. Virginia Union is 3-0 in CIAA play, as is Fayetteville State in the South.